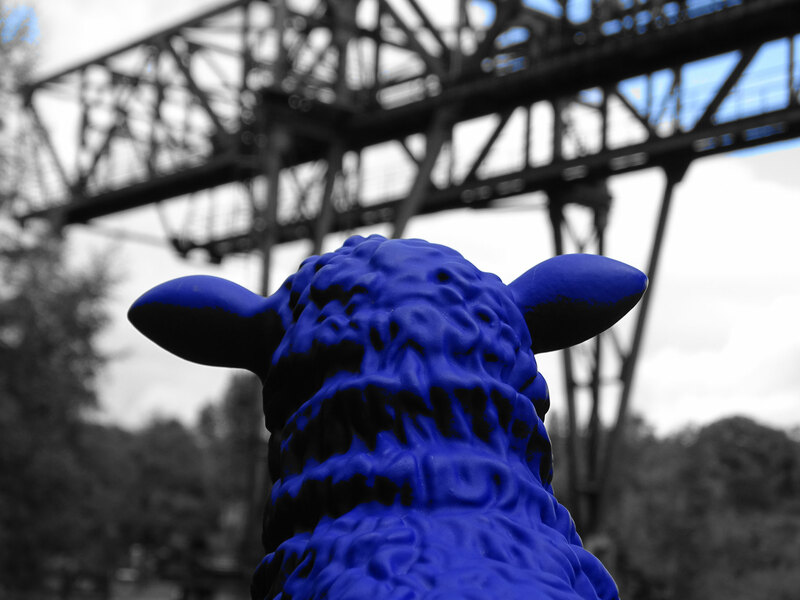 The blue sheep is made of cast resin, which has similar structural properties as hollow terracotta. The blue sheep are weather and frost resistant. Their color is UV resistant. 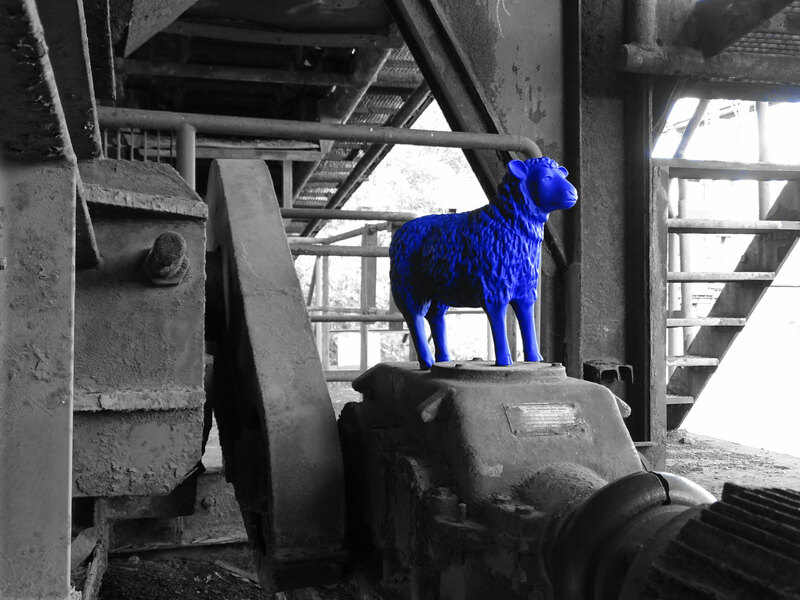 Each of our blue sheep is unique, handcrafted and a faithful, authorized reproduction of the work BLAUSCHAF (c) R. Bonk, 2001. 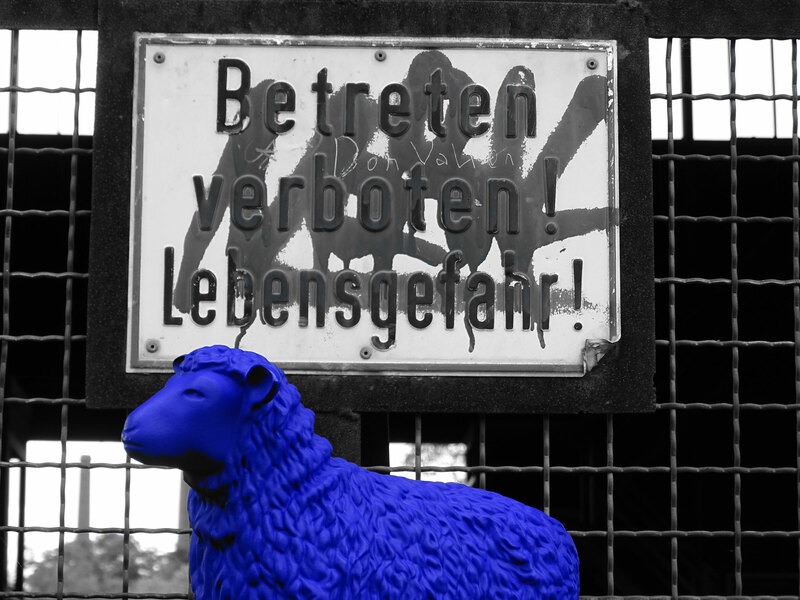 The special thing about the blue sheep of BLAUSCHÄFEREI REETZ is that they are hand-dyed and packed in the Köln-Poll workshops for people with mental disabilities (Sozialbetriebe Köln gGmbH). 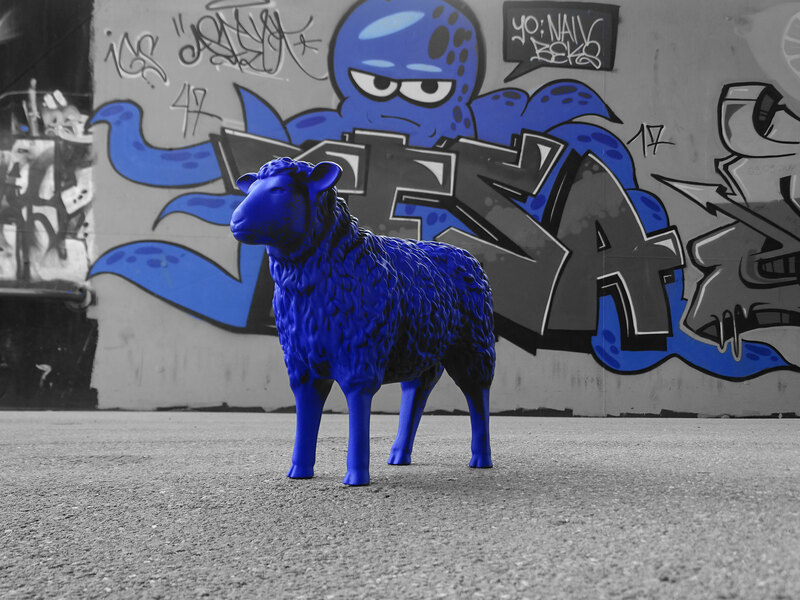 We offer the blue sheep in three sizes: In the original size (L: 68 cm x W: 28 cm x H: 58 cm, ideal for outdoor use); in a mid-size size (L: 34 cm x W: 14 cm x H: 29 cm, ideal for indoor use) and as minis in case size. 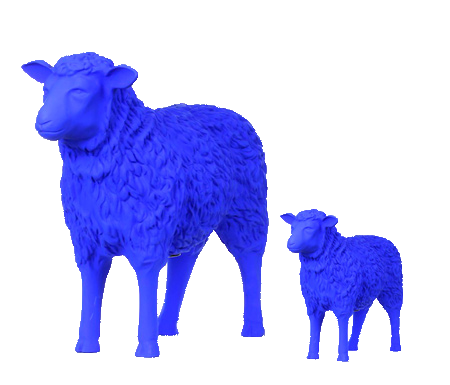 We also have blue lambs. he blue sheep prefer a quiet and peaceful place in your garden or living space. They are fragile, handle them with care and do not pull on their ears and legs. Dust or environmental sediments can be removed either with a duster or with water, a mild detergent and a soft brush.  High-pressure cleaning can irreparably damage the blue sheep.